The phenomenon known as Van Halen made a return to Charlotte on Friday night at the PNC Music Pavilion. They are probably one of the biggest acts to grace the stage of this amphitheater this summer concert season. That’s why there was so much energy surrounding this performance. You know you are in for one heck of a night when the most played Van Halen song of all-time in concert is listed on Setlist.fm as “Guitar Solo.” Yeah, it was that kind of a night. Don’t know if it was the mix or the venue, but the audio was not good to start the show. Most of Roth’s singing and speaking parts were inaudible at the beginning. But the sound progressively got better as the night went on. That being said, Eddie’s guitar was perfect all night long. He is Eddie Van Halen. What else is there to say? During “Drop Dead Legs,” Roth unbuttoned his shirt due sweating from the humid air to expose his full torso tattoo. At first it looked like he was wearing a colored vest, but turns out it was the tattoo he received while on hiatus in Japan. At various points, Roth would sing the beginning of the song and then ad-lib parts while speaking to the crowd in the middle. He engaged the capacity audience with his humor and antics. The hits kept on coming with “Everybody Wants Some! !” and “Drop Dead Legs.” Fans stood on their feet the whole time to catch every glimpse of the action. The amphitheater was packed with what would could be described as its biggest crowd in a long time. Not an empty seat was visible, and there were fans blanketing the entire lawn area. A brief shower made its way over the concert, and the fans on the lawn were so into the show that they held their ground, not to give up their position. During “China Town,” from 2012’s “A Different Kind Of Truth,” Roth used his mic stand to re-enact a sword fight. Roth used his mic stand all night long as a prop. The highlight had to be when he twirled it very fast like a baton later in the show. Many fans wondered would Eddie play the keyboards too. Well, that was answered when a pre-recorded keyboard intro was used for “I’ll Wait.” That same scenario would present itself for the last song also. Alex was next up to shine with a drum solo (The second most played “song” on Setlist.fm, by the way). During “Dance The Night Away,” Roth gave the audience a dance lesson where me mimicked the antics of James Brown and The Temptations. Roth also gave a stage performance re-enactment of Keith Richards and Ozzy Osborne. Roth later dove on the barricade during “Beautiful Girls,” and fans got to greet him. It almost seemed like David Lee Roth was playing a David Lee Roth character on steroids. Wolfgang contributed the whole night by providing Van Halen’s signature high-pitched background vocals. His backing vocals made “Hot For Teacher” just right. He also did get a little bit of slap bass solo later in the set. 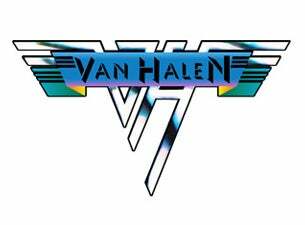 The Van Halen machine kept on churning with “Unchained” and “Ain’t Talkin’ ‘Bout Love,” where Wolfgang led the crowd to the “hey, hey, hey” chant. It was time for what everyone came for – Eddie Van Halen’s guitar solo. The lights went out and all of the cameras came out – more than at any other point in the Van Halen show. The camera/phone glows did kind of look like fireflies. So I guess the fireflies did come out after all. Eddie absolutely nailed it, as he always does. He included hints of his signature “Eruption” solo and continued into “You Really Got Me” with the full band. It was Van Halen’s first stop in Charlotte since 2012 at the Time Warner Cable Arena. The two-hour set had everything in it. They showcased materials from their newest release, deeper cuts and the most import – the radio anthems. Some other hits were left out like “Jamie’s Cryin’,” “(Oh)Pretty Woman” and “Dancing In The Streets.” But they must pick and choose since they have so many well known songs. Van Halen is still doing what they do best – rocking out!